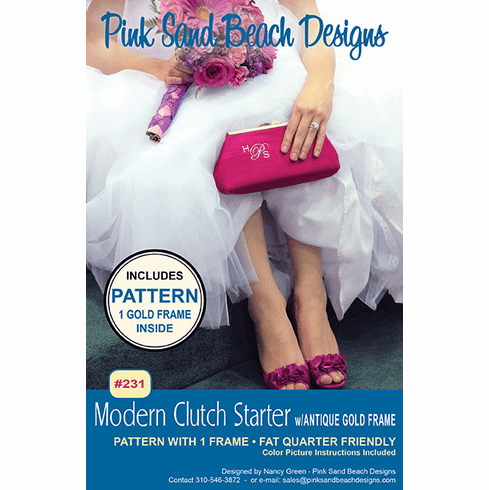 This starter package includes both the pattern and frame! This chic modern clutch is so very easy to sew! The Starter package includes: pattern and one purse frame. The bag is fully lined with one pocket inside making it roomy enough for all the essentials including: IPhones, glasses, makeup, and ID cards. Embellish with custom embroidery, crystals or fabric flowers. The frame is easily glued on making a fabulously finished clutch. Makes a quick and fun project! Full color instructions with pictures. Great for classes!